At the International Society for Technology in Education (ISTE) Conference next week, Microsoft will showcase the latest ways we’re empowering the students of today to create the world of tomorrow. This month’s Office 365 updates are another step on this journey, with the broad availability of new classroom experiences in Microsoft Teams, security enhancements and more. Read on for the details. We’re excited to announce that the new classroom experiences in Microsoft Teams are now rolling out to Office 365 for Education customers. For students, Teams helps create safe and engaging classroom environments with rich conversations including text, video and voice, as well as custom class themes, stickers and emojis. Educators can save time with student class rosters automatically populated from the school’s information system. They can also move effortlessly between planning lessons, creating content and providing feedback with the help of integrated OneNote Class Notebooks, Assignments and Office apps. Lastly, Teams provides a hub for educators and staff to connect with each other outside the classroom (for example, in professional learning communities), all from a single experience within Office 365 for Education. With classroom experiences in Microsoft Teams, everything students need is right at their fingertips with OneNote Class Notebook, Assignments and Office apps built into every class. 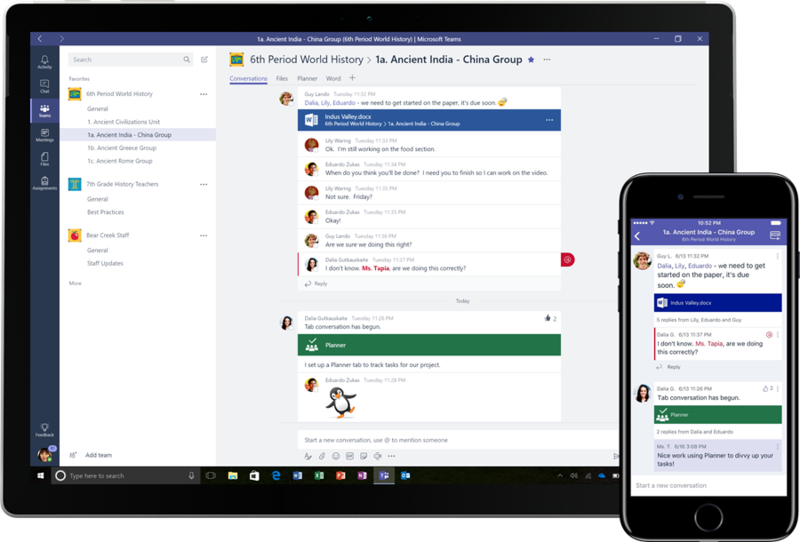 Availability: The classroom experiences in Microsoft Teams are now rolling out to Office 365 for Education customers in 181 markets and 25 languages on Windows desktops, Macs, Windows Mobile, iOS and Android, as well as the web. Several Office 365 updates this month help enterprise subscribers better protect sensitive information, manage risk and stay ahead of threats within their organization. Windows Information Protection expands to Office on Windows desktops—Windows Information Protection (WIP) support is expanding beyond Office mobile apps to Office on Windows desktops. WIP helps prevent accidental data leaks while letting your employees maintain control over their personal data. They can simply designate content created in these apps as “work” or “personal,” so your IT department can protect or remove only business data. Learn more about Windows Information Protection. Availability: Windows Information Protection support in Word, Excel, PowerPoint and Outlook on Windows desktops is now available for Office 365 commercial customers with Windows 10 Enterprise E3 or E5. It was already supported in Office mobile apps for Windows tablets and phones. Additional Office 365 security and compliance updates—This month we also announced additional updates to help you manage threats and protect sensitive information. 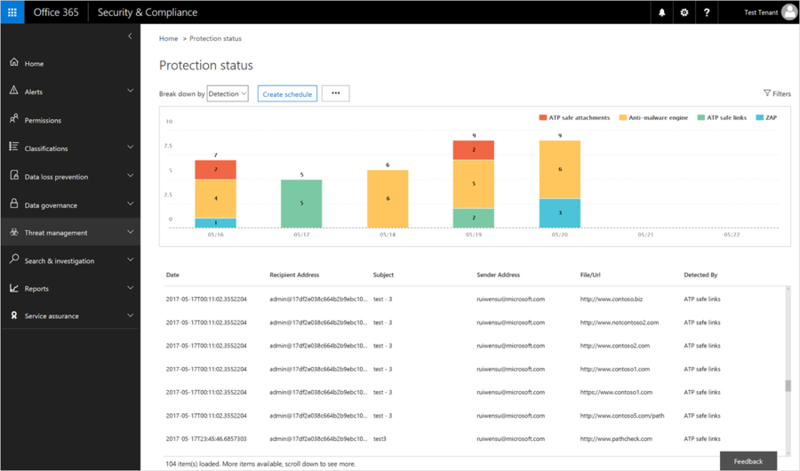 Office 365 Advanced Threat Protection (ATP) now offers enhanced reporting on malicious emails detected and blocked in your organization. New ATP Safe Links policy configurations let you block specific URLs, customize policies for specific people and more. Office 365 Advanced eDiscovery now provides a more streamlined user interface for managing the entire case lifecycle. It also now extracts text from images using optical character recognition and helps you supervise employee communications to comply with internal policies and regulatory bodies. Lastly, a new security information and event management (SIEM) connector for Office 365 Advanced Security Management (ASM) enables your organization to centralize the monitoring of ASM alerts with your existing SIEM software. Enhanced threat protection reporting provides better visibility into malicious emails. Availability: Office 365 Advanced Threat Protection, Advanced Data Governance, Advanced eDiscovery and Advanced Security Management updates are available and included in Office 365 E5 and Secure Productive Enterprise E5 customers. This month, we have additional updates for our commercial customers, providing your employees with new ways to collect feedback in surveys, as well as manage and share videos internally. Microsoft Forms is available for commercial public preview—Previously available for education customers, Microsoft Forms is rolling out for commercial customers, providing a lightweight web tool for creating surveys, quizzes and polls. It helps anybody in your organization easily collect customer feedback, measure employee satisfaction, organize team events and more. Microsoft Forms is a lightweight web tool for creating surveys, quizzes and polls. Availability: Microsoft Forms is rolling out in public preview for Office 365 commercial customers in First Release. Microsoft Stream is generally available—Microsoft Stream is an intelligent video service for commercial customers to easily and securely upload, share, manage and view videos in a single experience. Speech-to-text transcription, face detection, intelligent search and more make video consumption more efficient. IT can also tailor Microsoft Stream to fit their organization’s needs with management and security capabilities. 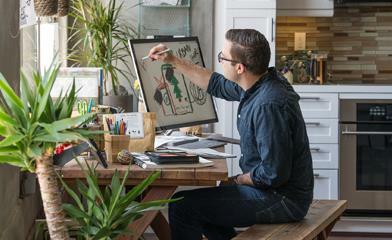 Get started with Microsoft Stream. 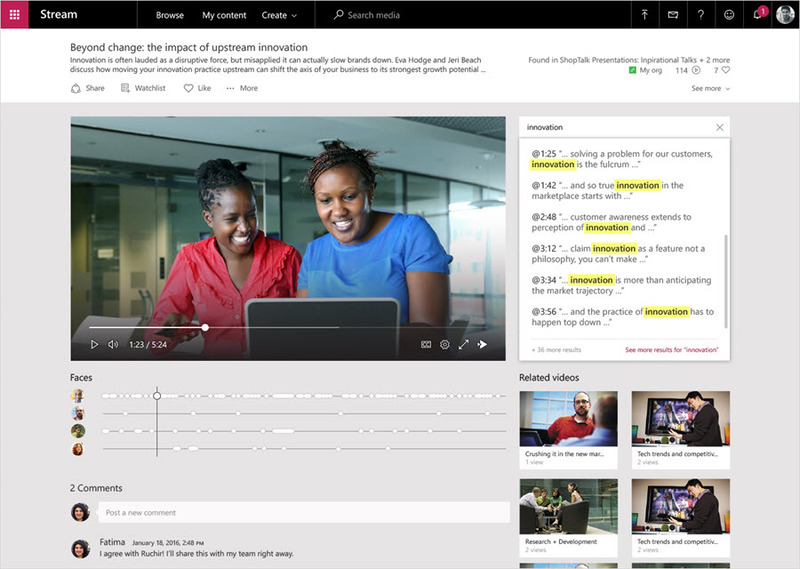 Microsoft Stream leverages face detection, speech-to-text and more to enhance productivity. Availability: Microsoft Stream is generally available for Office 365 commercial customers with Enterprise and Education plans in 181 markets and 44 languages. This month’s updates to cloud-powered intelligent services in Office 365 apps and services help save you time, produce better results and share insights on your work habits with your coworkers. Find credible sources and content from within more apps—We’re extending Researcher beyond Word on Windows desktops to Word on Macs, as well as to OneNote for Windows 10. Researcher helps you find and incorporate reliable sources and content for your outline notes or papers in fewer steps. Powered by the Bing Knowledge Graph, Researcher helps you explore material related to your topic and add it in one click, without leaving the app. Learn more about Researcher. Researcher helps you find and incorporate reliable sources and content without leaving the app. Availability: Researcher is now available in OneNote for Windows 10, for all Office 365 subscribers. Researcher is now available in Word on Macs for Office Insider Fast. Researcher was already available in Word on Windows desktops. Share your work habits with MyAnalytics—Now you can share MyAnalytics insights about your personal working style with others. This can help spur conversations around productivity habits among the people you work with, driving new norms around meetings, emails and after-hours work. MyAnalytics insights are private by default until you share them. Learn more in this MyAnalytics blog. Now you can share MyAnalytics insights about your personal working style with others. Availability: Sharing in MyAnalytics is now available for all Office 365 commercial customers with MyAnalytics.